Discussion in 'Custom Filters' started by uninfinity, Mar 6, 2014. First of all, great job with the product I am coming from Admuncher as it seems that, sadly the cow is dead now. How do I do it with wildcard usage such as "192.168. * . *"
Also, I want to exclude a site Xcontent.acme.com/X but not acme.com itself. can I add a filter "*content.acme.com/*" ? Greetings and welcome to the forums! Do these work for you? Okay, now that's potentially a different issue altogether. 1. 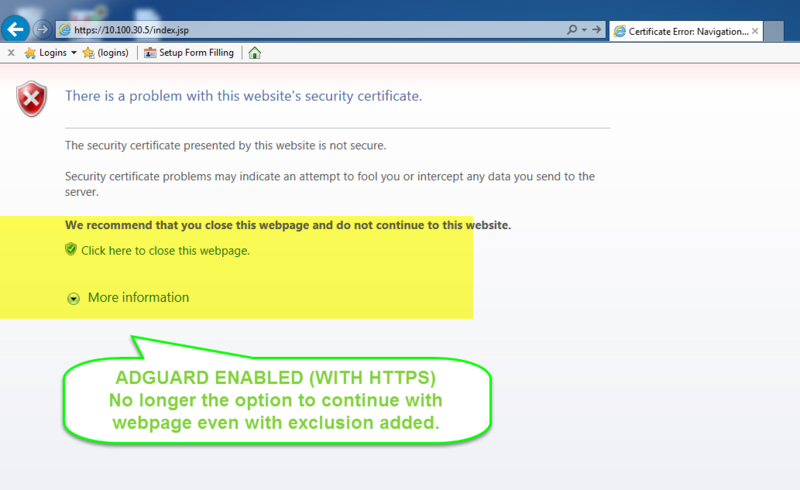 You cannot disable https filtration per domain. We will fix it in one of future releases. 2. Very strange internet explorer behavior. 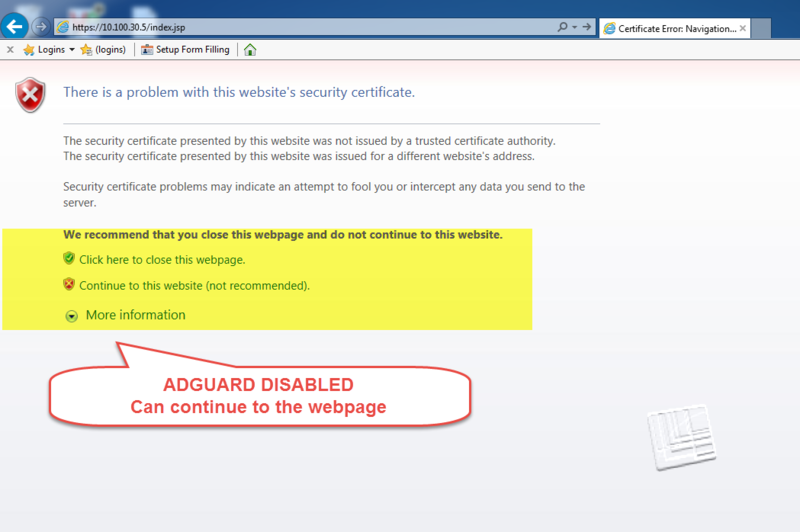 Adguard does not filter https if certificate is not valid. In that case we just bypass the traffic. So there should not be any difference but it is.